help of her hand drum. 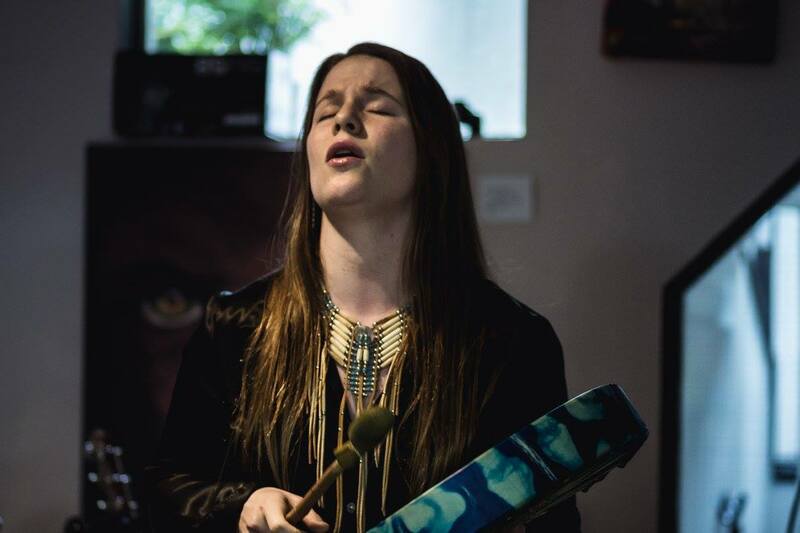 She then self-produced and released her EP Spirit Music with four tracks to honour the four directions and all aspects of creation encompassed on the medicine wheel. 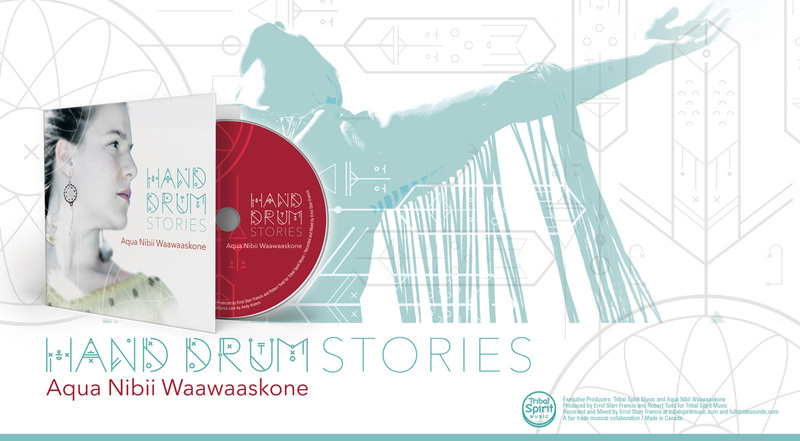 Soon she was signed to Tribal Spirit Music where she co-produced her album Hand Drum Stories with thirteen tracks to honour the thirteen grandmother moons. children to create their own hand drums, leading hand drum birthing ceremonies, talking and healing circles, and is devoted to sharing her teachings passed on to her by her mom and Elders who she’s had the privilege to work under as an Oshkaabewis~Helper. a beautiful way to bring people together is through live performance. Aqua co-created and collaborated with Cow Over The Moon and other gifted Indigenous artists on a children’s theatre piece to share the creation story of Turtle Island~North America. She composed original music to score the teachings and bring to life our traditions as Indigenous People. Aqua is currently working on her next album while collaborating with other like-minded artists who want to share their story, their struggle, their truth. She is an advocate for anyone who has endured violence and adversity. She provides a safe space in her sacred circles so the community can grow together, stronger, forever as a whole. When we’re training, it’s like everything in the world that tries to bring you down stops … When we’re training, we’re free.